Do you want to be part of a movement which sees music makers paid fairly for their work and have correct information about them available in one place? Then sign up to the Creative Passport. Artists, songwriters, producers, engineers – in short – music makers – where is the data on you and your work displayed and stored? The answer is in multiple places all over the internet. Also, do you know that your data is a currency from which you can make money and that, currently, millions of dollars are either paid to the wrong person or not paid out at all due to incorrect data on works and projects? Think of all of the money both you and your collaborators are losing. 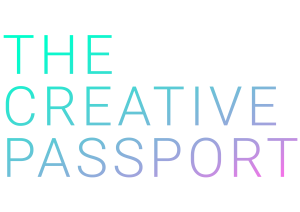 Spearheaded by Imogen Heap, and working with other music makers and technologists, we have created The Creative Passport – a one-stop shop which allows everyone to access data verified by you. Not just your songs but who played on them, who mixed and produced them, equipment you used plus IDs, acknowledgments, other works, business partners and simple payment mechanisms. Think of it as your personal online footprint. For it to be effective however we need music makers around the world to sign up to it, so we are hosting change maker forums where you as music-makers can input into the development of The Creative Passport. Where we will share our vision of how we hope it will evolve. Where we can exchange ideas and have an open dialogue and where, together, we can work to shape it into what we need it to be. As part of these forums, we will also have the first beta version of the Creative Passport app available to download and share with other music makers. So if you want to be part of the Mycelia family and to be in a position where you transform the industry for good, then sign up in the city of your choice and share the invite with your colleagues/collaborators/friends! Times and dates are below with new information being added as we go along. Attendance is free. Interested in hosting one of the Forums?